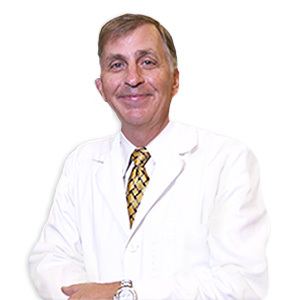 Dr. John Cancelliere has over 25 years of experience in the art and science of Dental Implants – natural-looking replacements for missing teeth. Why go to the dentist a second time when you don't have to? With CEREC®, the procedure is done in a single appointment, start to finish. Do you have dental anxiety? Your NO PAIN NO FEAR dentists ofter sedation dentistry techniques to give you a more relaxed and pleasant experience. After coming to The Dentistry In Naples, you'll love going to the dentist. Doctor John and Doctor Sam are so good you'll be so happy you chose them. There is never any pain with them and the staff is also very professional and friendly. When you're done you'll be looking forward to your next appointment. When I first tried them I had a Jerry Mahoney smile, now I have a Hollywood smile. Thank you Doctor Sam Cancilliere. This was my first experience with a dentist in the area since we moved here two years ago. I was blessed by the office being sensitive and responding to my situation (broken filling) quickly. I was seen within 24 hours of my call, and the office totally rearranged their schedule to accommodate my schedule to repair my tooth. The staff was polite and knowledgeable. Dr. Sam and his assistant were great at keeping this anxious dental patient at ease, and the procedure was pain free. I've already recommended the office to a new resident in our community. Dr. Sam is very gentle. The office is beautiful and I did not need to wait long to see him. I've always been sort of wary of the dentist, but I had a really good experience here. Only had my first visit, but it could not have gone better. From the greeting of Ashley, to the dental assistant, to Dr. John - everyone knew about my fear of dentists and made me feel very comfortable. I am going back in a week for some procedures and for the first time in my life I am actually looking forward to getting my teeth in shape. As always, I was treated as though I am their favorite patient. Ashley is such a poised and truly likable person. She is efficient and professional. My procedure was completed with my comfort and specific needs the primary focus. I am only too happy to recommend this practice to my friends, as I recently did with L.M. My sincere thanks and best wishes to Dr. Sam and the entire staff. Fantastic experience!! Painless and quick dental crown with on-site lab... No temps. Walked out with a perfect crown in one visit! Dr. Sam rocks! The entire practice is by far the best I have ever experienced. The Dentistry in Naples uses the latest technology, including 3D printing, allowing patients to receive their permanent crowns in less than an hour! I had virtually no discomfort throughout the procedure. The entire staff's attention to detail, technical skill, and customer care continually set the bar high for routine checkups, cleanings, mouth cancer screening and dental repairs. Dr. Sam "rocks"! The entire practice is by far the best I have ever experienced. The Dentistry uses the latest technology, including 3D printing, allowing patients to receive their permanent crowns in less than an hour! NO PAIN DENTIST NAPLES FL! WOW! A NO PAIN DENTIST IN NAPLES FL! "Have not visited the dentist in years due to trauma from one as a child. Was introduced to John Cancelliere and WOW!! What a great experience.. No Pain.. Extremely friendly! And my smile is a forever one? Im so glad my daughter-in-law introduced me to him. Thank you Dr. John and staff! Amazing! WOW! A NO PAIN DENTIST IN NAPLES FL! Have not visited the dentist in years due to trauma from one as a child. Was introduced to John Cancelliere and WOW!!!! What a great experience. No Pain!. Extremely friendly! And my smile is a forever one? Im so glad my daughter-in-law introduced me to him. Thank you Dr John and staff! Amazing! No Pain No Fear Dentistry – welcome to The Dentistry in Naples. Dr. John and Dr. Same Cancelliere provide Advanced Implant, Sedation, and Cosmetic Dentistry. We have been providing state-of-the art care in advanced implant, sedation, and cosmetic dentistry for over 25 years. We are your No Pain, No Fear Dentistry. As your No Pain No Fear Dentistry, we specialize in treating our patients with the utmost care when it comes to their comfort. Dr. John Cancelliere and Dr. Sam Cancelliere are experts in the art of making sure that their patients can come to our office knowing that we do our utmost to assure that you experience No Pain No Fear when you are under our care.